* The prices shown exclude reservation costs (€29,50 per booking), mandatory bed linen for Comfort Cottages in The Netherlands, Belgium and Germany, tourist taxes and other fees. In a beautiful wooded area, surrounded by extensive moors. Ideal for cycling enthousiasts, with a stop at the dolmens in Drenthe or at Plopsa Indoor in Coevorden. Brand new experiences every time you stay because of our continuous renewal: from cottages, the Market Dome, new activities to opening new parks! We're happy to tell you all about it! Log into (our renewed!) MyCP or download our Planet Center Parcs app and make the most of your stay in on of our holidayparks. 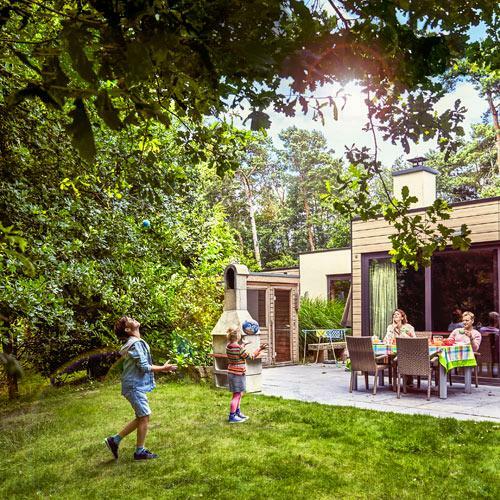 Choose one of the cottages for 2 to 8 people in the middle of the Drenthe countryside, for a lovely family holiday. Are you going for a perfect Comfort cottage, a Premium cottage with more luxury, or are you pampering your family with a VIP cottage? Enjoy your kids and have fun with them. For example, in the covered Action Factory with bowling alleys, mini-cars and Bumper Cars. 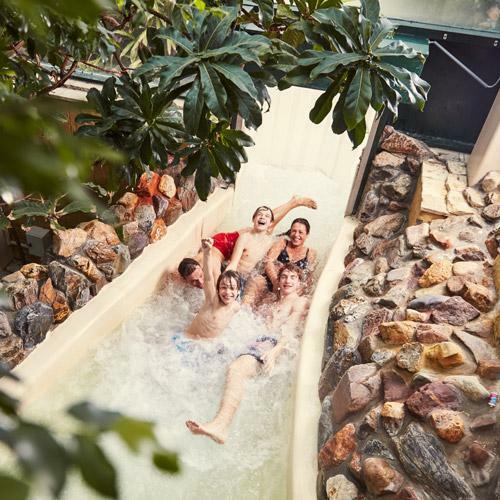 Slide down the white water course and water slides together, go fishing on the Lake and visit the raccoon centre on Adventure Island! Sit down in one of our 6 restaurants under the palm trees: Italian, pancakes, a rich buffet, fiery grilled dishes or quick snacks. If you prefer to eat in your cottage, hop in at the supermarket, order a pizza or have your Table Cooking package delivered! Looking for a last minute break? Have a look at our Last Minutes. Hurry, only available while stock lasts! Book at least two months in advance! A sustainable, worry-free investment with a fixed rental income and tax benefit. 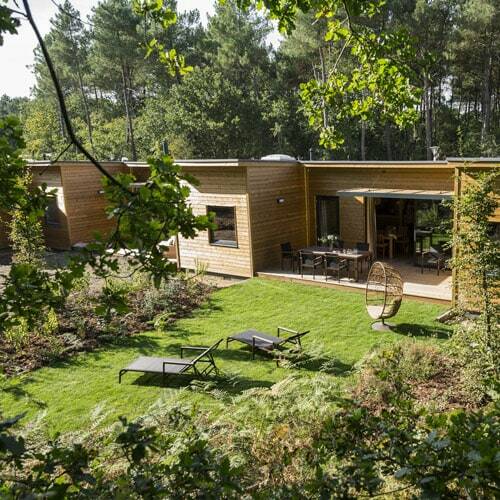 Choose security and become the owner of a holiday home with the strong European brand Center Parcs. Stay informed! Get a preview of all our latest news and best offers.